Hikashop, Virtuemart and JCAL Pro. Hikashop isn't really the new kid on the block when it comes to Joomla ecommerce but it's new to us. Hikashop was a dream to theme for and we dare you to take the Hikashop challenge and upgrade your Joomla shopping experience. 8 simple colour schemes easily adaptable using Theme Magic. 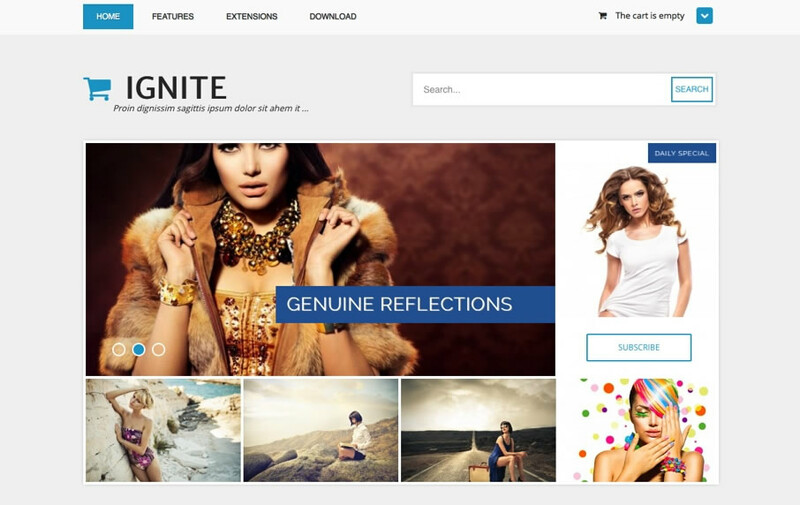 Ignite features a clean template design for the Hikashop Joomla ecommerce solution. to work on the multitude of tablets, phones, laptops and desktop screens that your visitor may be viewing your site with. This template is built using the latest and greatest incarnation of the Bootstrap css framework. It's built using bootstrap 3 and also has a compatibility layer (optional) for Bootstrap 2. Ignite also features support for Virtuemart. Please note that the implementation differs slightly from Hikashop. This template also provides some support for jCalPro - our Joomla calendar of choice. This template allows you to choose from a wide variety of fonts. It's easy to add to the core font stacks with any of the fonts listed on the Google web font directory. With new fonts added every week the sky is literally the limit. This template uses the T3 framework to power much of it's functionality. It's is a powerful and yet lightweight Joomla plugin that serves as a foundation for many of our themes. Powerful and flexible mega menu for creating multi column menus as well as adding modules and icons to menu items. Intuitive draggable interface for specifying widths for module positions that can be refined and adjusted according to your user's screen resolution. T3 includes a powerful theming tool called Theme Magic. It provides the ability to make real time non-destructive adjustments to the appearance of your theme. A built in less compiler makes it easy to recompile less files from your live server. T3 supports one of the leading options for mobile navigation by providing an off canvas menu for discrete and intuitive navigation on tablets and phones. Zentools is a powerful tool for creating responsive grids, slideshows, carousels, accordions and more. 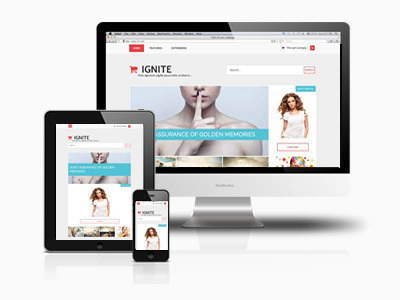 It provides all the functionality you need to populate your site with stunning and flexible responsive layouts using images from a folder, your Joomla or K2 content. This template is compatible with K2 via our stand alone responsive templates for K2 that we call Zenkit. Zenkit is a collection of responsive slideshows, carousel, filterable grid, accordion, blog and magazine layouts that can be easily applied to your K2 content.